Carum petroselinum Benth. Et Hook. Our organically crafted Parsley Hydrosol is steam distilled from the aromatic seeds and bright green leaves of the flowering plant, Petroselinum crispum native to the Mediterranean region. With its fresh, herbaceous, spicy green aroma, Parsley Hydrosol is considered to be a truly incredible, comprehensive skin healing hydrosol. Native to the Mediterranean region, Parsley is now grown in gardens worldwide as a versatile culinary herb. Its name is derived from the Greek word petros , which means stone , as this plant often grows in rocky terrains. As a culinary herb, it has many noted benefits including its ability to settle the stomach and offer some remedy for urinary tract issues. Parsley Hydrosol is also helpful for easing minor pain and inflammation as well as helping to ease unwanted muscle spasms. It is also effective in reducing unwanted bacteria or fungal activity. Parsley Hydrosol can be used in a variety of cosmetic and skin formulations for reducing wrinkles, assisting with cases of eczema, treating acne, conditioning the skin, and calming instances of rosacea. 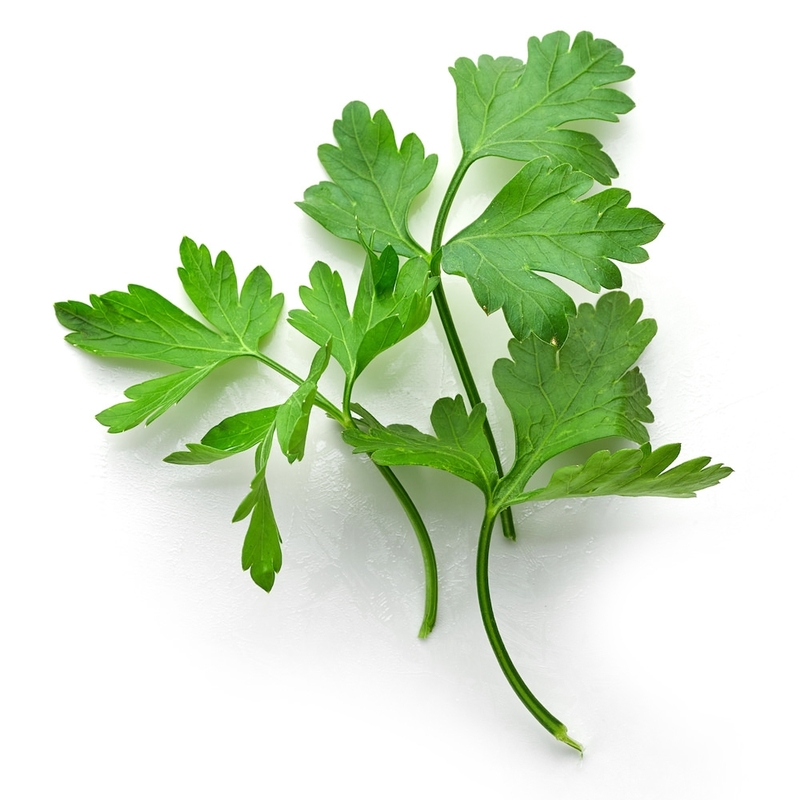 With its anti-irritant properties, Parsley Hydrosol is safe to use for easily irritated and sensitive skin types. It has antibacterial properties and can be helpful for wounds, open sores, insect stings and bites. Emotionally and energetically, Parsley Hydrosol can help reduce stress, fatigue, depression, and melancholy feelings. This hydrosol can help resolve new emotional trauma and contribute to healing old emotional wounds.